So, you want to be a vet? There are only a few universities in Britain and Ireland that offer the course and this means that there are hundreds of applicants for every place. It is probably one of the most over- subscribed courses in the country. 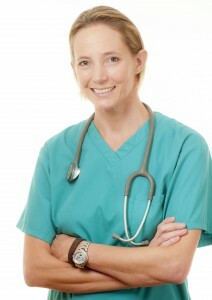 People often comment that it is much harder to become a vet than a doctor. This isn’t strictly true but probably stems from the fact that the places are so limited. The courses are offered in Bristol, London, Liverpool, Glasgow, Edinburgh, Dublin, Cambridge, Nottingham and now also at Surrey University. ‘A- Level’ subjects. Obviously the course is a demanding one and it is science-based and this is reflected in the subjects you are required to take and the grades expected. The grades needed are usually a minimum of 2 A’s and a B. These are higher than I believe is required for a doctor but again this is simply a way of keeping the numbers of people applying down. Chemistry is usually obligatory and then you can choose between physics and maths. Biology is also needed. Some universities have really widened the choice of subjects and qualifications they will accept and these may change with time. Always check with the universities themselves as to what is acceptable. Nowadays you may also have to do a BMAT test (biomedical admissions test) in order to get into vet school. This is an aptitude test rather than a test of straightforward intelligence. If you visit www.bmat.org.uk you can get all the information you need about these tests and also do some practice questions to give you an idea of what they are like. For all the most up to date requirements and also to find out what the universities are looking for you can visit their own websites. I won’t list them for you but if you ‘Google’ any of the above unis and specify vet school in the search you will find a wealth of useful information not only about the schools themselves but also about what they are looking for and expecting from you. I did get the right A- level grades after some very hard work and was very proud of myself but you soon realise that there are people at university that made my 2 A’s and a B look like a primary school attempt. I didn’t get a place the first time round because my predicted grades were not good enough so I took a year off and worked in a vet practice for 3 months. I wrote down all the cases I saw and wrote case- studies, which I sent to all the universities when I reapplied the following year. I also worked on 2 farms to get experience of lambing and calving. This is where the most important advice I can give you comes in. Because there are loads of people brainy enough to get the right grades you MUST make yourself stand out from the crowd in some way in order to get a place. How are the universities to know who will make good vets or who the most dedicated ones are? To be honest many people that are academically very bright get pushed into these kinds of courses because of the prestige but they soon become bored with the work and leave the profession. If you can show your dedication it will pay in the long- run. To do this you need to get as much hands- on animal experience as you can. This will almost certainly be voluntary and will probably be very mundane jobs like making tea, cleaning the floors and kennels and generally being a dogs- body. However, if your life’s goal is to be a vet then you have to take the bad with the good. Try your local vet practices, kennels, RSCPA, PDSA, pet shops, farms etc. etc. Anywhere there are animals you can try to help out. There’s no harm in making notes on what you’ve seen. The other benefit of doing this work early on is that you might find that you actually don’t want to be a vet! You might decide that it’s not as glamorous as you thought. Remember as well that the universities don’t want boring students. They want people with lots of interests besides science and animals too. When and if you do become a vet you will need hobbies and outside interests to help keep you sane and rounded so you might as well start early! I am guilty of continuing the myth that the job is an exciting combination of saving lives and helping ‘all creatures great and small’. I suppose James Herriott did that for my generation. The fact is that like any other job it can be very tedious and mundane. Much of the time is spent doing very routine things and saying the same things over and over again. It can also be VERY stressful and there is a massive amount of responsibility that goes with it. The reason none of this is shown on television is because no- one would watch it! Think long and hard before embarking on the course and be absolutely sure that you know what you’re letting yourself in for! Having said all that, I personally love my job. It can be massively rewarding and satisfying and you can do so many things with a vet degree besides be in general practice. The world really does become your oyster. Emma Milne shared a post. We have started to catch attention of tier one world media 📰. "In many ways, vaccination has become a victim of its own success. One of the reasons some people fail to recognize the importance of immunizing both children and pets is because of the perceived diminished risk of disease, which is precisely thanks to historic vaccination efforts in the first place. There is a lack of understanding that without continued vigilance and vaccination, these diseases will re-emerge." Please contact Roger DeCourcey on roger@dhmlimited.co.uk or 01923 710614.